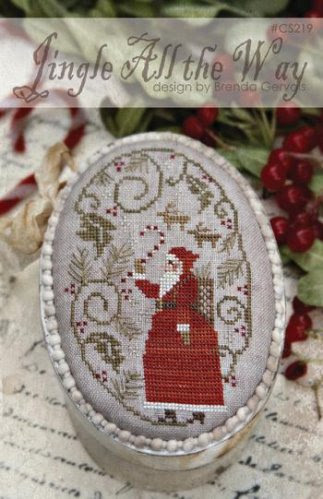 The creative juices must be flowing fast in the world of cross stitch designers as we have so many new holiday designs in the shop and so many more to come. 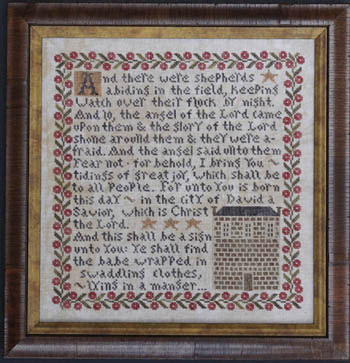 It is exciting to get beautiful new things every few days and see your finished pieces. 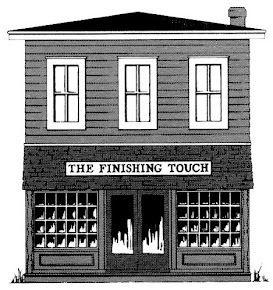 Please keep sharing your finished work. Thanksgiving is right around the corner and here is our schedule. We will be closed Thanksgiving day but will be open on Friday, November 24th. This year we are having a Black Friday Sale with 15% off your purchase that one day. Join us and begin your holiday stitching. Our Annual Christmas Open House will be Saturday, December 2, 2017. Join us for the traditional party of cookies and hot punch. Christmas Open House hours this year will be 10-3. The Frankfort Avenue Olde Time Christmas Celebration is also December 2 with trolley rides and special events all along the Avenue. Come join the fun! We are excited to show you some of the things in the shop now. Also watch our Facebook page to keep up with other new arrivals. 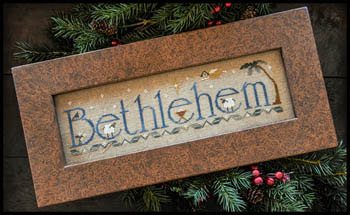 “Bethlehem,” from Little House, is a beautifully simple design. Very nice. 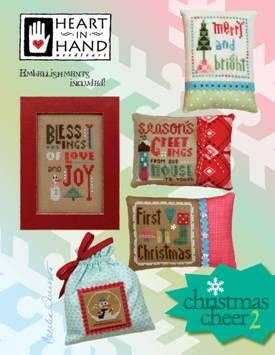 Heart in Hand offers Christmas Cheer 3, a darling kit featuring 2 ornaments and a snowman and Christmas tree scene. Cute and quick to stitch! We also have Cecilia’s Wee Santa 2017. Tidings of Great Joy is the latest offering from La-D-Da. This wonderful story would be an heirloom to enjoy for years to come. Just Nan has added Christmas Mouse in a House to her ongoing mouse collection. This is the sweetest Christmas house with a darling tiny mouse to live there. Must see! 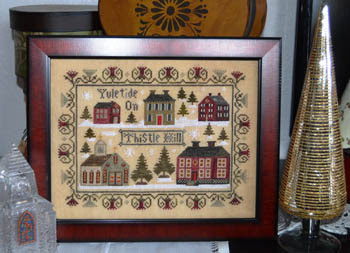 For those stitchers who love houses, Yuletide on Thistle Hill, by Abby Rose, features a quaint Christmas village which looks very welcoming and cozy. 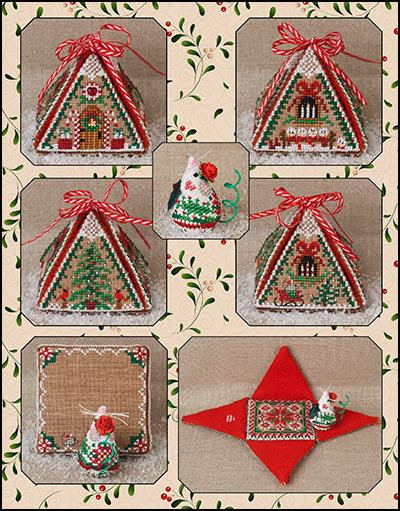 That brings us to Brenda Gervais, who has not one, but four new designs. We are showing Jingle All The Way, a delightful old time Santa, and O Tannenbaum. 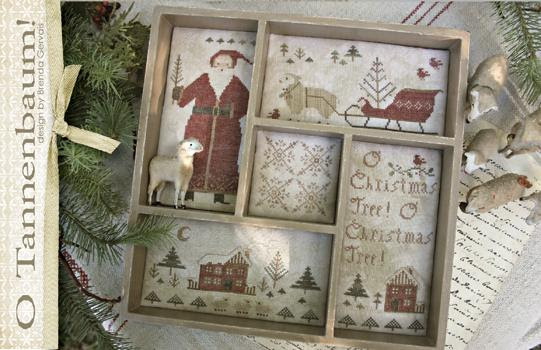 O Tannenbaum is a collection of 5 holiday designs shown in a shadowbox. Each design could be used alone but the collection looks great together. We also have the shadow box. 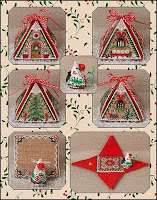 We do have Snow Birds and Merry Christmas, the remaining 2 new designs, in the shop. 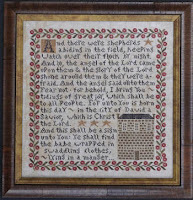 Happy Stitching and best wishes for a wonderful Thanksgiving.